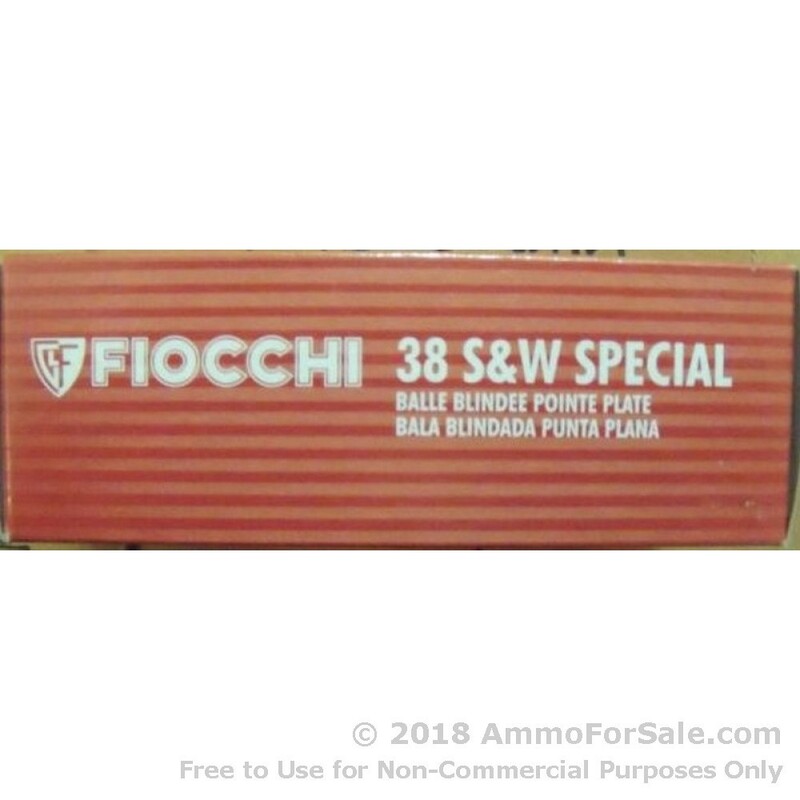 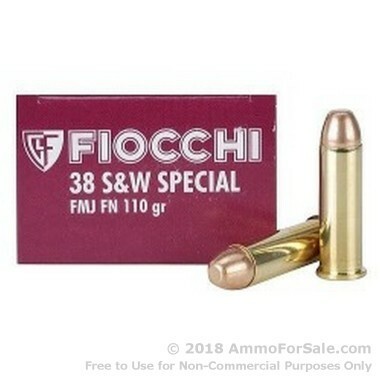 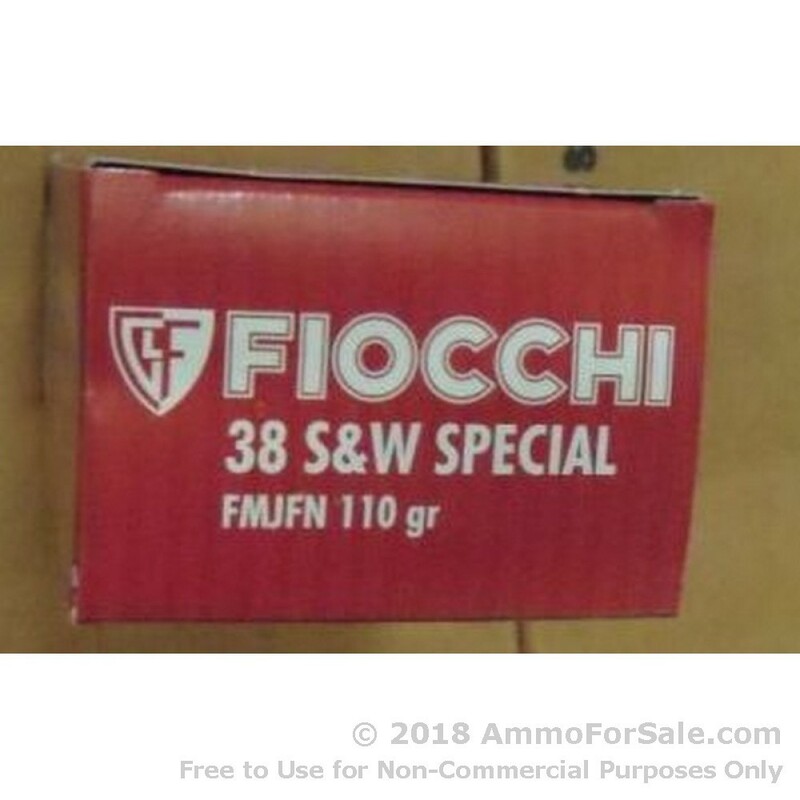 AmmoForSale.com is pleased to offer this .38 Spl ammo for sale by Fiocchi. 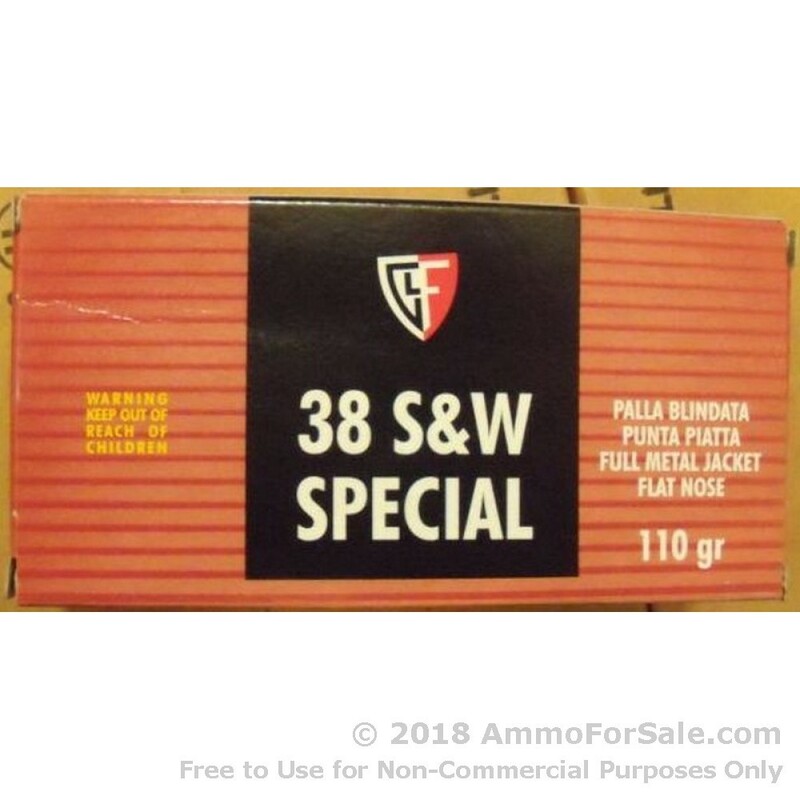 These 1000 rounds of brass cased ammunition are boxer primed and include a 110gr FMJ projectile. 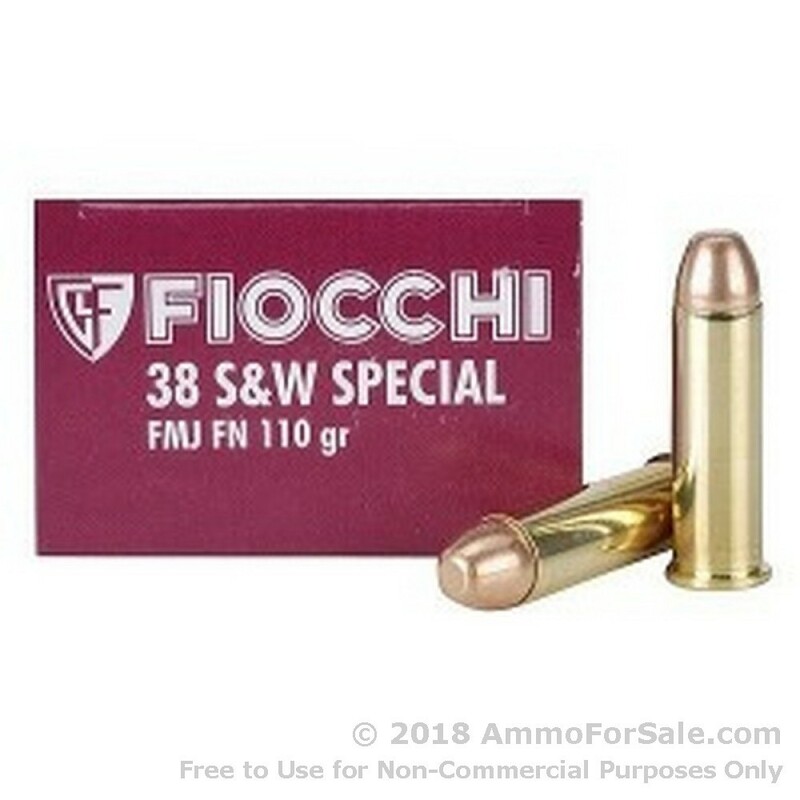 Please be sure to read our reviews of this Fiocchi .38 Spl ammo below, or add your own!